If you missed Beyoncé’s unbelievable headline show at Coachella last summer, or want to relive the experience from a different perspective, this is for you. Netflix have just released a stunning teaser for the singer’s new documentary: Homecoming: A Film by Beyoncé. Featuring Maya Angelou’s poignant narration, the trailer reveals Homecoming’s purpose: to give fans a glimpse of the story behind the show. The “intimate, in-depth look at Beyoncé's celebrated 2018 Coachella performance reveals the emotional road from creative concept to cultural movement”, according to a Netflix synopsis. This will be the first time the full performance has been made available to watch since it was originally streamed live at Coachella. After hyping fans with a teaser image over the weekend, Netflix have now revealed the full documentary will be released April 17. 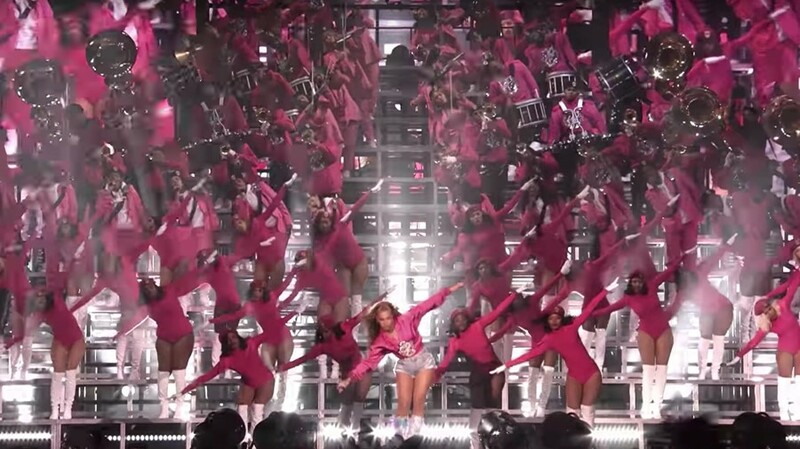 Queen Bey’s performance at Coachella was a defining moment in music. Beyoncé became the first black woman to headline the festival. She marked the event with a legendary Destiny’s Child reunion, inviting Michelle Williams and Kelly Rowland to perform “Lose My Breath”, “Say My Name”, and “Soldier”. To coincide with her Coachella debut, Beyoncé introduced the Homecoming Scholars Awards Program, which provides scholarships to students attending HBCUs. A synopsis for the movie describes her set as a performance that “paid homage to America’s historically black colleges and universities”. Through interviews and behind the scenes footage, Homecoming will reveal the “preparation and powerful intent behind her vision”. Watch the trailer below for a preview of Bey performing live at the festival.